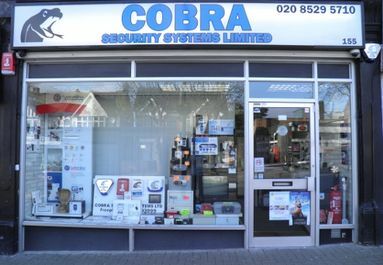 Cobra Security Systems first registered as a limited company in 1978 and over the last 36 years have strived to offer a very high standard of workmanship and equipment. We provide both wired and wire free security systems at an economical price with an inclusive 12 month 24 hour a day Service Contract. Based in Chingford, they offer services in London, Essex, Hertfordshire & the surrounding areas. Unlike some security companies, we won't tie you into an expensive three or five-year contract for your security system, and our service can be easily renewed on an annual basis if required. Cobra Security Systems achieved recognition to the National Approval Council for Security Systems NACOSS Roll of Approved Installers (now NSI, National Security Inspectorates) in 1989 to which we have Gold Accreditation. In 1994 we a chieved recognition for British Standard 5750 ISO 9002, a much coveted award for Quality Assurance, of not only the way we install systems but in the way we manage staff security, screening and training, eliminating false alarms, maintaining up to date records of every system and their security, in fact every aspect of our company.